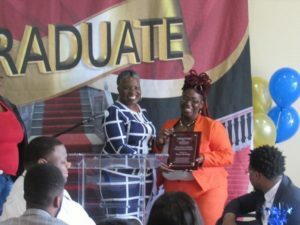 It was an emotional moment for many during the April 9 graduation ceremony of the AmeriHealth Caritas District of Columbia “Pathways to Work” program. Seven people received certificates showing they had finished the 12 week paid internship program, which provides training in hospitality and customer service skills in a classroom environment and then learning about healthcare while onsite at AmeriHealth Caritas. Interns are paired with a mentor during the internship process. 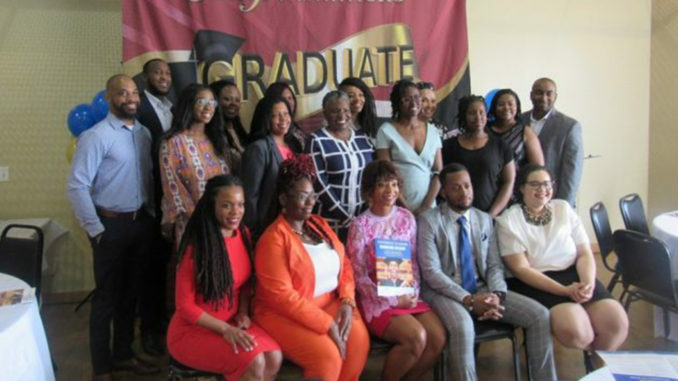 Graduates of this cohort include: Eseomon Aledan, Autumn Fennell, Iyana Davage, Robert Jordan, Melissa Spencer, Tonya Rawlings and Tamara Moses. Karen Dale, market president for AmeriHealth Caritas District of Columbia, spoke to the AFRO about how the program got started. “The idea I had was first and foremost we needed to be good stewards in the community we serve,” Dale said speaking of the impetus for the program. “This represents an investment in our community. We know that health is more than healthcare. So to have resilient communities, people must have the basics and essential and if you don’t have a job a lot of the basic and essentials are harder to have. “So if we can pour in and help people who want to work – and most people want to work – what they need are all the right tools and resources and sustainable support in order to be successful. That’s the piece we thought we were uniquely positioned to provide. Dale said that she and other program leaders continue to listen to graduates, learn and grow making new changes even with the current cohort. Tonya Rawlings, a D.C. resident and graduate was able to secure full time employment with AmeriHealth prior to even completing the internship. For her, the journey back through unemployment was foreign to her, having worked since she was 17-years-old. However what she learned about herself and her capabilities will hopefully carry her beyond her current career. Rawlings said she started as a registered medical assistance but moved to the administrative side when she couldn’t do the medical side due to an injury. When she lost her job she was shocked and unprepared for what came next. Rawlings said that thankfully she only had to spend one night sleeping in her car before her son found out and helped her. But joblessness had an emotional toll on her. And the stress piled on as she lost her mother to cancer and her fiance to a pulmonary embolism six months later. The Pathways program was a source of hope, and offered her a place to see a larger picture for her life. She was able to take yoga, and learn about meditation. During the internship she even created a vision board. She was so moved by her experience, she wants to one day start her homeless facility. The Pathways program is open to all D.C. residents. AmeriHealth Caritas District of Columbia is a Medicaid managed care health plan with a mission to help members get care, and maintain health and wellness for themselves and their community. 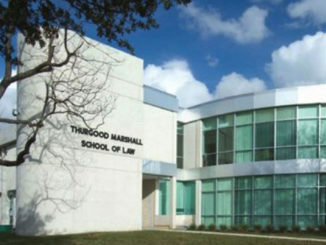 The next round of internships begin in the fall of 2019. For more information please visit www.amerihealthcaritasdc.com.